Little Miss Muffet sat on her tuffet eating her curds and whey. Along came a Spider that sat down beside her, and frightened Miss Muffet away. I remembered this nursery rhyme from my childhood. In Spider Medicine we will share the power of Spider Medicine. This may creep you out but hang in there. Spiders look a lot like insects, but they’re actually part of an entirely different class of animals, called Arachnida. Spiders make up the order Araneae within this class, which also includes mites, ticks and scorpions. Love ’em or hate ’em, you’ve got to admit that spiders are some pretty impressive, well-equipped animals. They have a top-notch sensor array, a built-in construction set, a heavily armored body and a highly effective venom-injection system. How many other creatures can claim that? These remarkable adaptations have made spiders some of the most successful carnivores in history. In their 400 million years of existence, they’ve spread over every continent and mastered nearly every environment on Earth. Today, there are about 40,000 known spider species, and potentially thousands more we haven’t discovered yet. This is pretty astounding when you consider that there are only about 4,000 different species in the entire mammal kingdom. All spiders have eight legs. 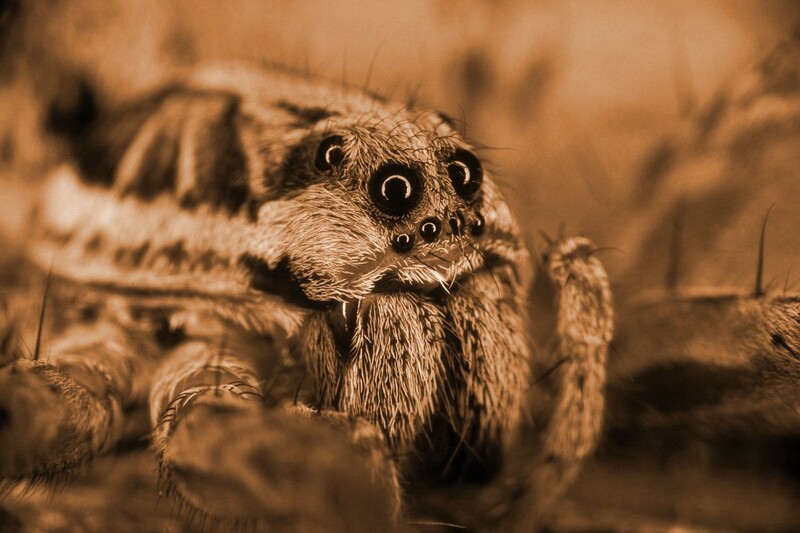 Most spiders have eight eyes but some have fewer than eight. They don’t have ears, they feel the sound vibrations with tiny hairs on their legs. Their bodies have two parts, the head and the abdomen. The abdomen is plump. Spiders are very weird. This one would scare me away! Spider blood is light blue. Blood fills up all the empty space in the spider’s body, it helps to keep the legs stiff so the spider can walk. Spiders breathe, too. As spiders grow, they molt. That means they shed their old skin and grow a new one. Many spiders live for only one year but some, like tarantulas can live much longer. Spiders come in different sizes. Some are fuzzy and others are smooth, and they come in many different colors. Spiders live in many different kinds of places, water, gardens, houses, and the ground. Some are poisonous and others are not. They all eat insects and some other animals. Some people fear spiders, the question here is, Do you lie awake at night wondering if one of them might land on your face, or whether the feel of something spider-like on your arm is enough to make you leap away? If the answer to these questions is yes, then you probably have arachnophobia. One has to wonder if the spider did anything particularly nasty to Miss Muffet to frighten her away from her curds and whey. Fear of spiders may also have an evolutionary component, learning to avoid venomous ones grew into a general anxiety about all spiders. According to a 2010 study published in The American Naturalist, baby crickets can be born fearing spiders if their mothers were exposed to them during gestation. Does this mean we can pass this fear to our newborns as well? Spider… Weaving webs of delight, Weave me a peaceful world tonight. 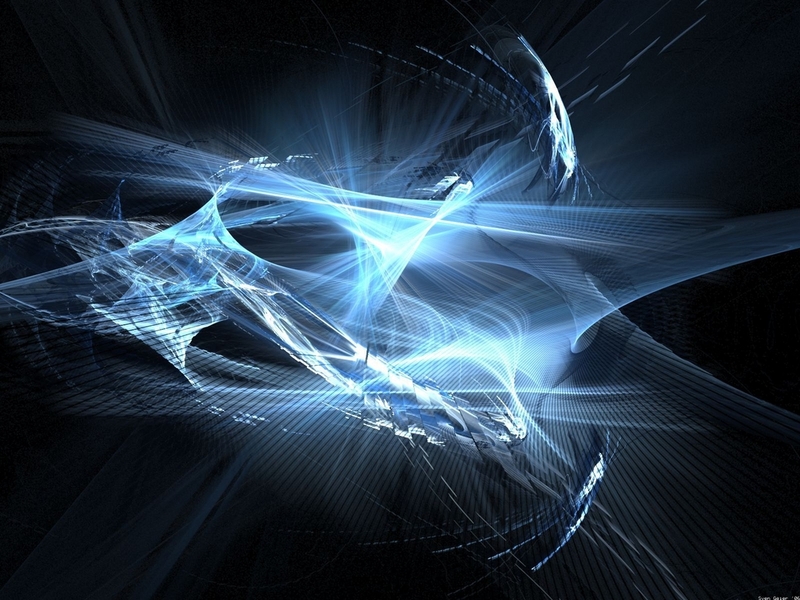 Carrying creation in your web, Waiting to be unfurled, you give it a twirl and catch your dinner good night. When Earthmaker had completed the creation of the world, he looked for a creature that could watch over his creation. First Earthmaker appointed Turtle to oversee things, but his legs were so stubby that he could not see very far at all. So he was recalled. Then Earthmaker appointed (Crow/Raven) to oversee the world. Crow could see far and wide, but he did more than just watch: he gave orders to everyone, and never was he silent for even a moment. Thus Earthmaker recalled Crow. Then Earthmaker appointed Bear. Bear could stand on his hind legs and see well and could even climb trees so that he could see in every direction. However, Bear had a terrible temper, and soon frightened the whole of creation. So Earthmaker recalled him as well. Then Earthmaker appointed Spider to watch over the world. Spider was without any passion, so no one feared her. Her voice was so small that only Earthmaker himself could hear her. Because she could climb, Spider was able to see far and wide. In the beginning, Spider had only two eyes like everyone else, but just to make sure that she could see everywhere, Earthmaker gave her six new eyes, one eye for each direction. Ever since, spiders have had eight eyes that see in every direction. Spider wove the web that brought humans the first picture of the alphabet. The letters were part of the angles and designs of her web. So it was that Spider wove the first primordial alphabet. As she had woven the dream of this world that had become manifest. Spiders dream of this physical world had come to fruition millions of years before. When one studies the Spider Medicine they soon realize that Spiders body is made like the number eight, consisting of two lobe-like parts connected at the waist, with eight legs. Spider is the symbol for the infinite possibilities of creation. Her eight legs represent the directions on the Medicine Wheel and the four winds of change. Spider weaves the web of fate for those who get caught in her web and become her dinner. This is similar to us humans who get caught up in the web of illusion of the physical world, and never see beyond the horizon into other dimensions. 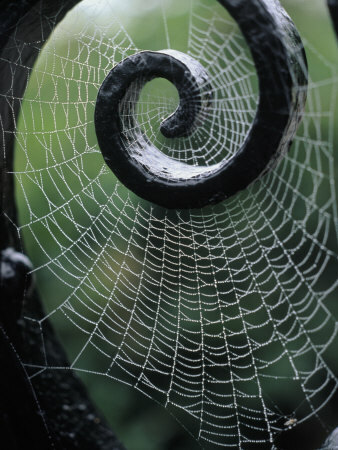 The web that Spider weaves also represents the wheel of life. A life that does not include any alternatives or solutions to the problems we face. It is typical of humanity to get caught up in the polarity of good and evil, without realizing that we can change it at any time. If we are not decisive enough about changing our lots in life. We may end up being consumed, trapped in the web of our own creation of fear and limitations. Spider Medicine represents the female energy of the creative force that weaves the beautiful designs of life. 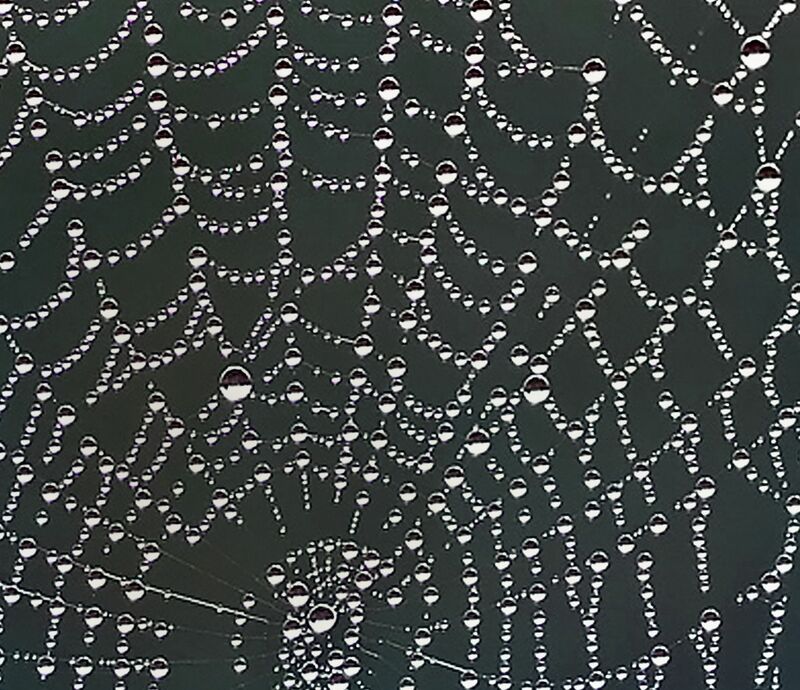 As her web has hundreds of intricate patterns which catch the morning dew. I wonder what this looks like through eight eyes! If Spider Medicine as crossed your path today! Spider Medicine is telling you to create, create, create. Look for new alternatives to your present impasse. Think outside of the web of illusion. She may also be indicating that one maybe coming to close to an entangling situation. Becoming trapped in the web of deception that has spread throughout this reality. Writing in a journal will help you to review your progress. One will not forget how one is creating a new and different phase in their life. In short, Spider Medicine is telling you that she sees, that you are becoming a bit to involved in the weaving of your life plans to notice opportunity at the outskirts of your web. Spider Medicine dropped in to get your attention so that you notice that something that you have woven has borne fruit. Congratulations! Spider has caught you just in time, before you missed the opportunity on the edge of your web or reality. Spider Medicine is reminding you that you are an infinite being who will continue to weave the patterns of creation and life, living throughout time. DO NOT fail to see the expansiveness of the eternal plan, and the gift the Great Spirit has offered you. Remember who you are. This is the awakening. There is a contrary message to Spider Medicine. If Spider has crossed your path hanging upside down. It reflects on the negative side of woman, or female energy. Spider will eat her mate if she gets to caught up in herself to see the validity of honoring male energy. The warrior at her side is a strong balancing force. If one has become disdainful of their mate be it male of female, and have felt very superior recently, just remember that one is not honoring either their male or female side. Balance your energies. This negative type of criticism only breaks down relationships, and is a reflection of something you hate about yourself. Feeding the ego in this way, results only in losing the game. 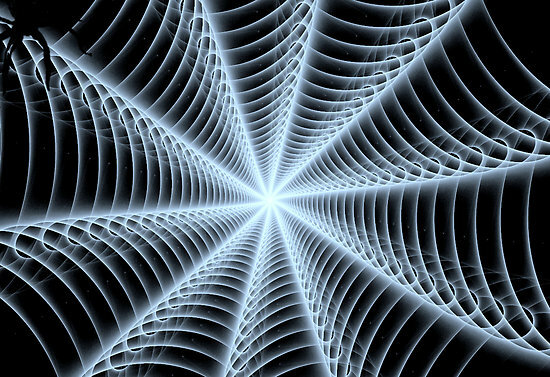 You have become entangled in your own web of illusion about who you really are. Have you become so weak that you must attack others? If this doesn’t pertain to your present situation, than another message of contrary Spider Medicine is the lack of creativity. If you fail to use your talents to get the web spinning, ones lack of creativity can change into destructiveness. If one is feeling stagnant and unable to move in positive direction. You may resent others who are doing well. This resentment is akin to the Black Widow Spider and will eat you up, and the only one to mourn your demise will be you. Get moving, find joy and new ideas in the accomplishment of others. Use them to propel you into a new phase of creative spinning on your own web of delight. 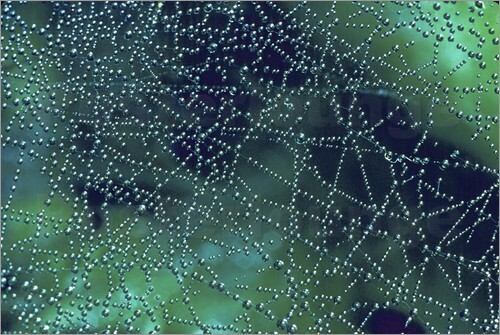 Observe Spiders web and find pleasure in the ideas that you receive from her universal language. Throughout time, the spider has been associated with many myths and superstitions. In mythology worldwide, the spider is prominently featured. Throughout Africa, Spider is either a trickster or a great god. Japanese believe that Spider Woman can ensnare careless travelers. In contrast, the Pueblo Nations of America believe that Spider Woman created the Universe. The Greeks and Norse looked upon Spiders as the Weavers of people’s fates and connecting the Past with the Future. Can you see Creation symbols? In the beginning nothing existed: no Earth, no Sky, no Sun, no Moon. Only darkness was everywhere. Suddenly from the darkness emerged a thin disc, one side yellow and the other side white, appearing suspended in midair. Within the disc sat a small bearded man, Creator, the One Who Lives Above. As if waking from a long nap, he rubbed his eyes and face with both hands. When he looked into the endless darkness, light appeared above. He looked down and it became a sea of light. To the East, he created yellow streaks of dawn. To the West, tints of many colors appeared everywhere. There were also clouds of different colors. Creator wiped his sweating face and rubbed his hands together, thrusting them downward. Behold! A shining cloud upon which sat a little girl. “Stand up and tell me where are you going,” said Creator. But she did not reply. He rubbed his eyes again and offered his right hand to the Girl-Without- Parents. “Where did you come from?” she asked, grasping his hand.”From the East where it is now light,” he replied, stepping upon her cloud. “Where is the Earth?” she asked. “Where is the sky?” he asked, and sang, “I am thinking, thinking, thinking what I shall create next.” He sang four times, which was the magic number. Creator brushed his face with his hands, rubbed them together, then flung them wide open! Before them stood Sun-God. Again Creator rubbed his sweaty brow and from his hands dropped Small-Boy. Creator, Sun-God, Girl-Without-Parents, and Small-Boy sat in deep thought upon the small cloud. Then he created Tarantula, Big Dipper, Wind, Lightning-Maker, and some Western clouds in which to house Lightning-Rumbler, which he just finished. Creator sang, “Let us make Earth. I am thinking of the Earth, Earth, Earth; I am thinking of the Earth,” he sang four times. All four gods shook hands. In doing so, their sweat mixed together and Creator rubbed his palms, from which fell a small round, brown ball, not much larger than a bean. Creator kicked it, and it expanded. Girl-Without-Parents kicked the ball, and it enlarged more. Sun-God and Small-Boy took turns giving it hard kicks, and each time the ball expanded. Creator told Wind to go inside the ball and to blow it up. Tarantula spun a black cord and, attaching it to the ball, crawled away fast to the East, pulling on the cord with all his strength. Tarantula repeated with a blue cord to the South, a yellow cord to the West, and a white cord to the North. With mighty pulls in each direction, the brown ball stretched to immeasurable size–it became the Earth! No hills, mountains, or rivers were visible; only smooth, treeless, brown plains appeared. Creator scratched his chest and rubbed his fingers together and there appeared Hummingbird. “Fly North, South, East, and West and tell us what you see,” said Creator. But the Earth kept rolling and dancing up and down. So Creator made four giant posts–black, blue, yellow, and white to support the Earth. Wind carried the four posts, placing them beneath the four cardinal points of the Earth. The Earth sat still. Creator sang, “World is now made and now sits still,” which he repeated four times. Then he began a song about the sky. None existed, but he thought there should be one. After singing about it four times, twenty eight people appeared to help make a sky above the Earth. Creator chanted about making chiefs for the Earth and sky. He sent Lightning-Maker to encircle the world, and he returned with three uncouth creatures, two girls and a boy found in a turquoise shell. They had no eyes, ears, hair, mouths, noses, or teeth. They had arms and legs, but no fingers or toes. Sun-God sent for Fly to come and build a sweat house. Girl-Without-Parents covered it with four heavy clouds. In front of the East doorway she placed a soft, red cloud for a foot-blanket to be used after the sweat. Four stones were heated by the fire inside the sweat house. The three uncouth creatures were placed inside. The others sang songs of healing on the outside, until it was time for the sweat to be finished. Out came the three strangers who stood upon the magic red cloud-blanket. Creator then shook his hands toward them, giving each one fingers, toes, mouths, eyes, ears, noses and hair. Creator named the boy, Sky-Boy, to be chief of the Sky-People. One girl he named Earth-Daughter, to take charge of the Earth and its crops. The other girl he named Pollen-Girl, and gave her charge of health care for all Earth- People. Since the Earth was flat and barren, Creator thought it fun to create animals, birds, trees, and a hill. He sent Pigeon to see how the world looked. Four days later, he returned and reported, “All is beautiful around the world. But four days from now, the water on the other side of the Earth will rise and cause a mighty flood.” Creator made a very tall pinion tree. Girl-Without-Parents covered the tree framework with pinion gum, creating a large, tight ball. In four days, the flood occurred. Creator went up on a cloud, taking his twenty-eight helpers with him. Girl-Without-Parents put the others into the large, hollow ball, closing it tight at the top. In twelve days, the water receded, leaving the float-ball high on a hilltop. The rushing flood water changed the plains into mountains, hills, valleys, and rivers. Girl-Without-Parents led the gods out from the float-ball onto the new Earth. She took them upon her cloud, drifting upward until they met Creator with his helpers, who had completed their work making the sky during the flood time on Earth. Together the two clouds descended to a valley below. There, Girl-Without- Parents gathered everyone together to listen to Creator. “I am planning to leave you,” he said. 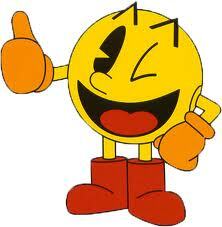 “I wish each of you to do your best toward making a perfect, happy world. “You, Lightning-Rumbler, shall have charge of clouds and water. “You, Sky-Boy, look after all Sky-People. “You, Earth-Daughter, take charge of all crops and Earth-People. “You, Pollen-Girl, care for their health and guide them. Creator then turned toward Girl-Without-Parents and together they rubbed their legs with their hands and quickly cast them forcefully downward. Immediately between them arose a great pile of wood, over which Creator waved a hand, creating fire. Great billowy clouds of smoke at once drifted skyward. Into this cloud, Creator disappeared. The other gods followed him in other clouds of smoke, leaving the twenty-eight workers to people the Earth. Sun-God went East to live and travel with the Sun. Girl-Without-Parents departed Westward to live on the far horizon. Small-Boy and Pollen-Girl made cloud homes in the South. Big Dipper can still be seen in the Northern sky at night, a reliable guide to all. Thank You for sharing Spider Medicine, create, create, create! Flying on the Wings of Consciousness. With Creation under our Wings. Seek Crow Medicine for another lesson in Animal Medicine. Spider Medicine has great power. Oh, what a tangled web we weave. When we practice to deceive.